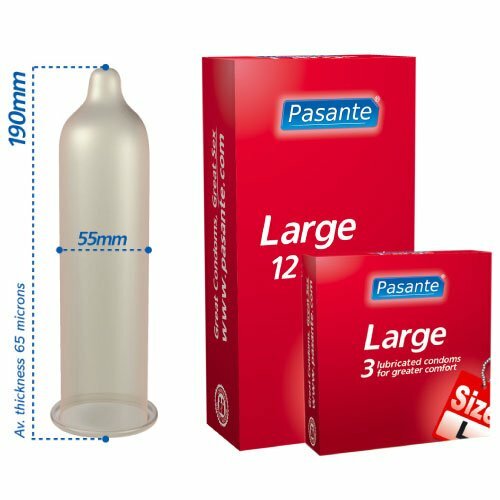 Pasante Large is a wider condom designed for greater comfort. Nominal width 55mm Non-spermicidally lubricated. Transparent, teat ended condoms, made from natural rubber latex.